The Lie That Just Kept Growing: You rang me up at REI on Friday the 25th. You asked what I was gearing up for. I told you I was going camping this weekend. That was not true. Do I plan to go camping, yes. Do I plan to go this weekend, no. Your good looks got me all flustered and I started saying half truths... and it just kept growing. So, I hope you can forgive a flustered girl for telling a white lie or two. I had the short red hair and the Winnie the Pooh tank top. My friend was the tall blonde who came in halfway through. I gave her the side eye so she would join in my tall tales. You had the short brown hair and the devilish good looks. No way of winning: We met on random occasions (in jail and the doctor's office) and I couldn't find the right words. I thought I could do the right thing, but I failed pathetically. It sickens me how I have hurt you two and many others. I pray time can heal our wounds and make me a man worthy of your friendship. Until we meet again, peace be with you. 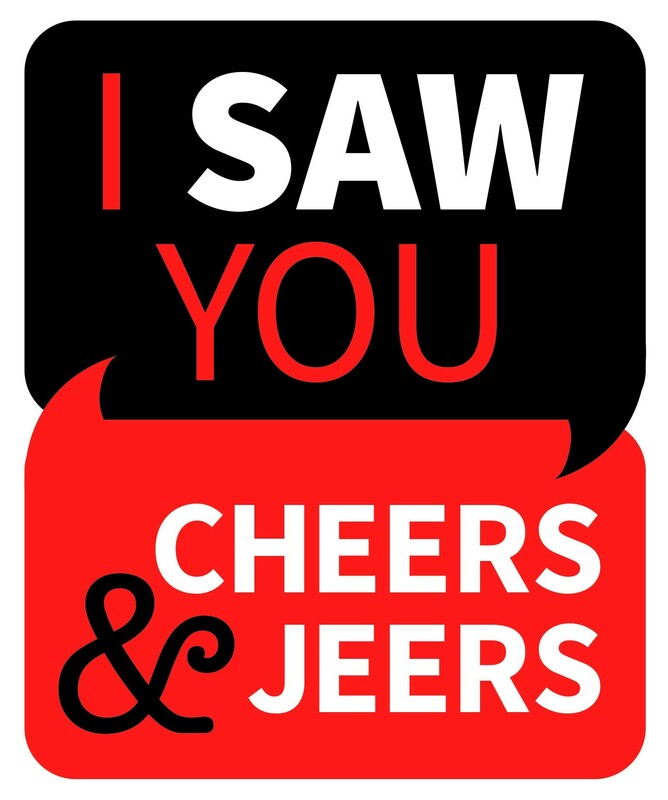 Memorial Day Memory: I saw you, one year ago...walking into the Satellite bar. You were a vision in black and gray. Your curls framed your smile and perfect denim blue eyes and it was over for me. One look and I was flustered the whole evening. I loved your laugh and demeanor but most of all how you made everything seem fun, safe and easy. Maybe I will be lucky enough to buy a drink there again, sometime soon? To the generous Patron at Bene's: It was Friday morning, May 18. My daughter usually has speech therapy at this time every Friday, but her therapist cancelled. I had early morning conferences, and my oldest son, I could tell, needed a day off (long story). I had to go to work later, and knowing my son would be home alone for the first time ever, I was reluctant to go to work right away, so I asked my son to have breakfast with me. We decided to try Bene's, we live in town and had never been. My son ordered and ate a full meal, as did I. This does not happen often, I am a single mother of three, so one-on-one time is rare. As he scarfed down the last bites he could and I asked the waitress for a box, she informed me that an "anonymous" patron sitting somewhere, had purchased our breakfast for us. To YOU, that customer who so GRACIOUSLY and SELFLESSLY purchased our meal, THANK YOU! From the bottom of my heart, as shocking and surprising as this amazing gesture was, I will never forget the moment you made an amazing memory in not only mine, but my 9 year old son's life. I WILL pay it forward! Daring Rescue: MANY THANKS to the fearless crew at the Airway Heights Fire Department for rescuing Tiff, my elderly Pomeranian, after she decided to explore the crawl space of my house and then got stuck there last Sunday morning. One of the crew crawled under the house without hesitation and pulled her out... what a relief! Hit that Button, more and more...: For several years, the Gonzaga-Hamilton corridor's vehicle traffic has been consistently stalled by that stupid push-button system located at Desmet. Throughout the year, this crosswalk is consistently populated with residents and, mostly, college students needing to transverse one of the busiest streets in Washington state. In the winters, we have witnessed several collisions due to crossers rushing the light and/or immersed on their dumbphones. Okay, we all understand and appreciate the vital, dire NEED to make sure our nation's future lawyers and political leaders have a safe, swift passage to and from their required classrooms on the campus. But the traffic in Spokane has increased so much that we all require more heavily-controlled intersections. My question is: why do we, as a society, allow privileged college kids to halt rush-hour traffic while, a half-mile to the north, the local elementary students have to risk their tiny, short lives attempting to make it across Hamilton just to get to school without being run over? The whole issue at Desmet and Hamilton stinks of corrupted bureaucratic/corporate/private school agreements to further invite enrollment and/or game attendance and parking. PLEASE turn this intersection into a normal, controlled area that is monitored with a three-colored light. Perhaps an elevated walkway could be a solution, with surface allowances for the disabled? I apologize for my Jeer but, really — and think about this — why should privileged private college kids have a far greater right to make it to school on time — safely — than do the youngsters of our local community? Petitioners: Shame on you for trying to keep me from signing a petition over at the plaza. I am a registered voter and when I wanted to sign the petition you walked away. How dare you deny me my rights. If you want to have the right people sign your petition then stay off the plaza. So Thoughtless: This is for those who work for the wheelchair service at the Spokane Airport. When we arrive at the airport needing wheelchair assistance and you leave us waiting and waiting and waiting to the point where we think we're going to miss our plane, that is thoughtless on your part. And then on top of that you expect us to tip you when you can't wait to get rid of us so you can go to another tip. If you're undermanned, hire some more people. If it is poor management than get new leadership. Bottom line, treat us like we're people not burdens or get out of the business.